Small mammals, such as rats, mice and shrews, can scan their surroundings by rapidly moving their whiskers backwards and forwards – and the species that do this have developed a specialised skull feature, according to new international research involving Manchester Metropolitan University. Dr Robyn Grant from Manchester Metropolitan’s School of Science and the Environment, alongside colleagues in the USA and Finland, has discovered for the first time that mammals with this special ability have evolved a larger infraorbital foramen, which is an opening in the skull just under the eyes that connects the whiskers to the brain. The novel whisker movement – called ‘whisking’ – can occur 25 times per second, and is one of the fastest movements a mammal can make. Many species of small mammals around the world need to scan their environment so they can move quickly and safely across dark, complicated terrains, for food foraging, and to detect potential threats. This study, published in The Anatomical Record, is the first of its kind to associate ‘whisking’ with the shape and size of the skull. “This is the first study to look at whisker touch sensing in a large number of species and try and understand how whisking behaviours evolved. We see so many species that move their whiskers across the animal kingdom, especially in animals that forage in the dark. The researchers studied the skulls of 209 mammal species from around the world, using specimens from museums in the USA and the UK. These included 174 non-whisking mammals that still exist, 31 whisking mammals that still exist, as well four fossils. Dr Grant and colleagues analysed the size of the skull features by making moulds and measuring under a light microscope. They found that mammals who scan their environment through ‘whisking’ have a much larger infraorbital foramen. 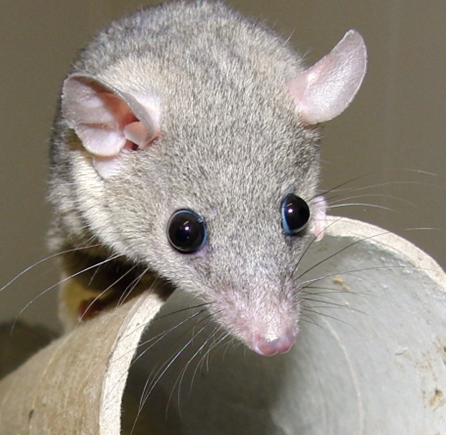 Looking through the evolutionary tree, ‘whisking’ probably evolved seven times in mammals, and can be seen especially in nocturnal, arboreal species and very often in rodents. From looking at fossils, the authors conclude that ancestral mammals probably did not ‘whisk’, but may still have had moveable and functioning whiskers. The research, ‘Good Vibrations: The Evolution of Whisking in Small Mammals’, is published in The Anatomical Record. It is authored by Robyn Grant (Manchester Metropolitan University); Magdalena N. Muchlinski (University of North Texas Health Science Center); John R. Wible (Carnegie Museum of Natural History); Ian Corfe (University of Helsinki); and Matthew Sullivan (Manchester Metropolitan University). Manchester Met’s School of Science and the Environment is a research-rich academic community in the Faculty of Science and Engineering, with a well-established reputation in the fields of biology, chemistry, geography and environmental science. We work with research institutions, industry partners, national organisations and NGOs worldwide, to deliver solutions that address challenges posed in environmental change and sustainability, socio-economic, cultural and political change, health and advanced materials.